A consumption based mining process that distributes dividends in real time. A cryptocurrency to distribute dividends in real time supported by and specifically designed to work hand in hand with mainstream shopping platforms. Utilizing Open API’s and “ShopCorn” Payment Gateway modules to carry out online transactions, users can mine ShopCorn on any platform. Mining based on consumption – a user can mine when his/her everyday consumption reaches a certain mining point. The world's first dividend coin – a real-time distribution of the profit from the platform and contents to the coin holders. 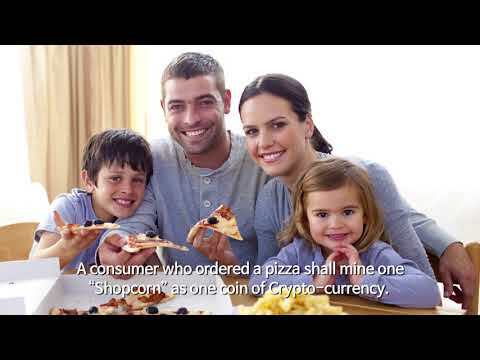 The coin whose dividend value can be estimated - if a user orders a pizza worth 20$ through ‘Shopcorn platform’, the platform pays 18$ to the seller and gets 10% of the selling price or 2$ as profit. The consumer (the buyer of pizza) mines one Shopcorn. A user can mine from all the existing shopping malls, platforms, and contents in the world because 'Shopcorn platform' is interlocked with API and PG payment module. Began developing global single consumption platform ‘Shopcorn’ Completed the prototype of Shopcorn blockchain. Commenced Shopcorn platform beta service. Organized the three-country (Japan, S. Korea, China) development and operation team. Interlocked Shopcorn platform with API and PG module. Shopcorn visa, master, check card platform open. Commenced Shopcorn platform in China. Commenced Shopcorn platform in Europe. Commenced Shopcorn platform in USA.